Production on Wonder Woman 1984 has finally begun. While we could go on and on about how Wonder Woman is one of the only decent film in the DCEU (actually it’s the only good one), you don’t care about that. It’s the headline. 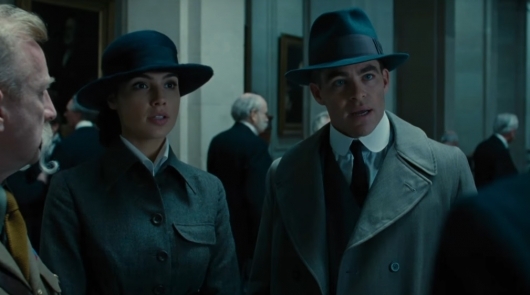 Yes, Chris Pine is back. So while the other Chrises are playing in the Marvel sandbox, it looks like Pine has found a way to come back to DC’s. Only now we should get ready for parachute pants, frizzy hair, and pilot jumpsuits. Check out the image below. Director Patty Jenkins released the full image of Pine as Steve Trevor on her official Twitter account? Yes. The director mentions the character’s name in the tweet. So how is that even possible? We won’t go too far into the conspiracy rabbit hole. But either Diana collected the body and used Themyscira magic to bring him back to life or Trevor had a love interest back at home. For those who haven’t watched it, Steve sacrifices himself in the first Wonder Woman. So how he’ll come back after 70 plus years remains a mystery. And Jenkins didn’t exactly shed any light on how that would happen. Of course, that isn’t stopping fans from speculating. Other theories include that he is just a hallucination. But then why the confused look on Pine’s face in the photo? The second photo reveals Gal Gadot‘s return as Wonder Woman. That photo isn’t as shocking considering we knew she would be back. In her photo we see her standing in front of a number of TV monitors. 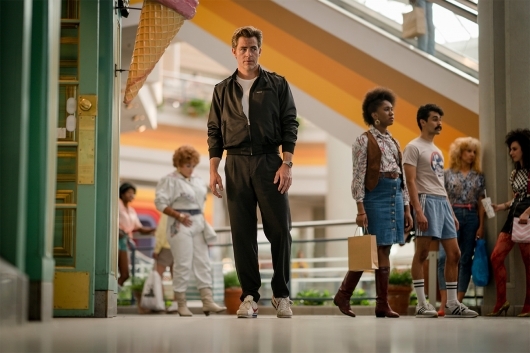 Of course, this begs the question, if Bruce already knew about WWI Steve in Justice League, did he even know about ’80s Steve? Could it be time travel? Did Thanos’s snap have an effect on the DCEU? Then again, he just said Steve, so that leaves a little room for ambiguity. I can’t believe I find myself caring about DCEU continuity. But this wasn’t the only major reveal Jenkins made. She confirmed that the title would be Wonder Woman 1984. The title pretty much confirms previous reports that the film would make a giant leap from WWI to the Cold War. Guessing that these photos are just a mere teaser for what’s to come at San Diego Comic-Con 2018, where I get the feeling that Jenkins will drop the first full reveal of Kristen Wiig as Cheetah. It only makes sense since the studio has been known to do major reveals there. Pedro Pascal also stars. 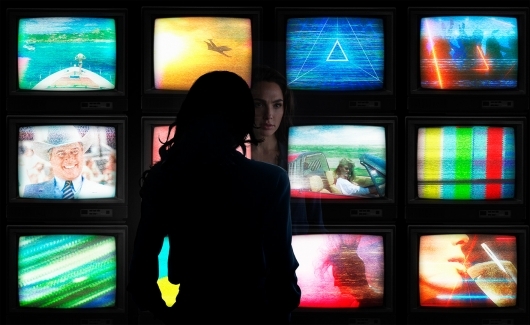 Wonder Woman 1984 opens in theaters on November 1, 2019.